At Gilbarco Veeder-Root, we are committed to maintaining service and support for all our solutions for the full extent of their hardware lifecycles. This support continues until we can no longer provide spare parts, or when significant technological advances dictate otherwise. 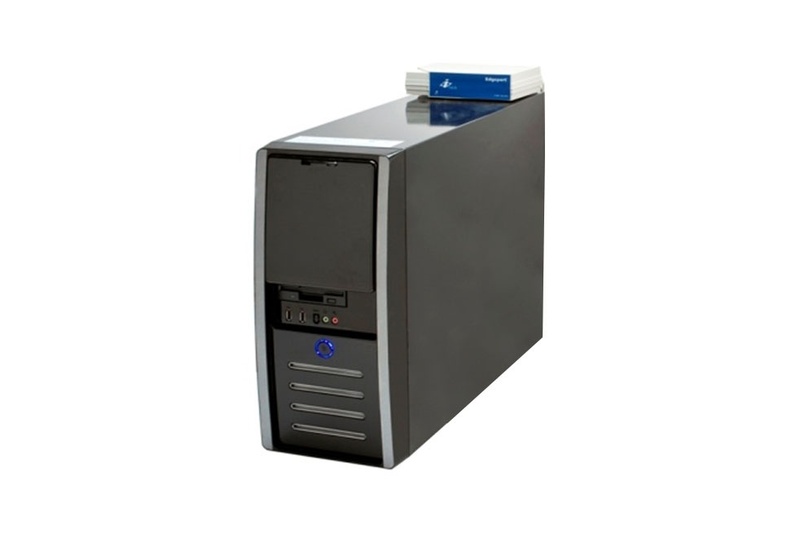 The Passport PX52 (PX51) hardware set was released in 2005, and has served thousands of our customers with fourteen major Passport releases and millions of hours of store operation. The PX60 Passport All-In-One hardware was introduced as the next evolution in April 2014, and has been sold across all petroleum/convenience networks and markets over the past three years. 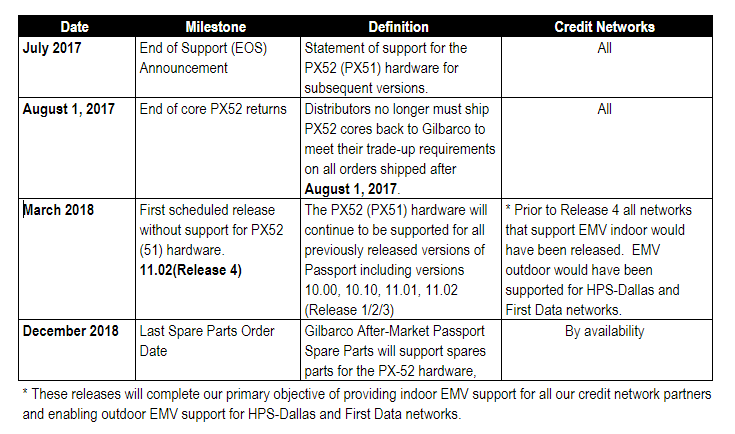 Based on the above, support for the PX52 (PX51) hardware set will be discontinued starting with Version 11.02 (Release 4) and all subsequent releases. This release is currently scheduled for production release starting March 2018, with corresponding end-of-support deadlines defined shown in the table below. • Passport Trade-Up systems shipped after July 24, 2017, will receive a free upgrade to the new Core Application Suite that includes the following modules (Enhanced Reporting, Advanced Merchandising, Employee Management, Car Wash, and PlayatPump) when the trade-up is installed and activated. ($4500 value) • Use promo code TRDCORE17 and customers will receive a Core Suite Upgrade with Passport Trade up order at no charge versus a list price of $906. It will be available through 12/31/17. For Gilbarco Distributors, the following also applies. • All current volume trade-up promotions have been extended until the December 2017. • Special Extended payment terms for volume purchases will be extended through 3Q 2017. First scheduled release without support for PX52 (51) hardware. NEED HELP UPGRADING YOUR CUSTOMER'S TO PX60? Our engagement team will communicate the end-of-life message and upgrade options to your 10 site or less customers. Gilbarco Veeder-Root is the global leader of integrated technology solutions in the retail petroleum industry. From our reliable fuel dispensers to intuitive point-of-sale to revolutionary operation management systems and convenience store equipment, Gilbarco Veeder-Root delivers total integrated solutions from the forecourt to the convenience store.